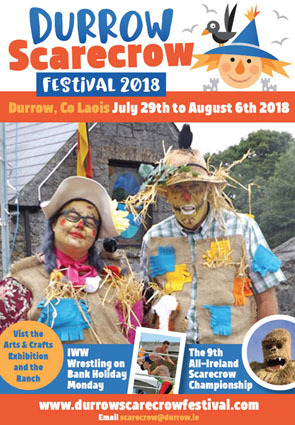 It’s FREE PARKING for everyone at the Durrow Scarecrow Festival. 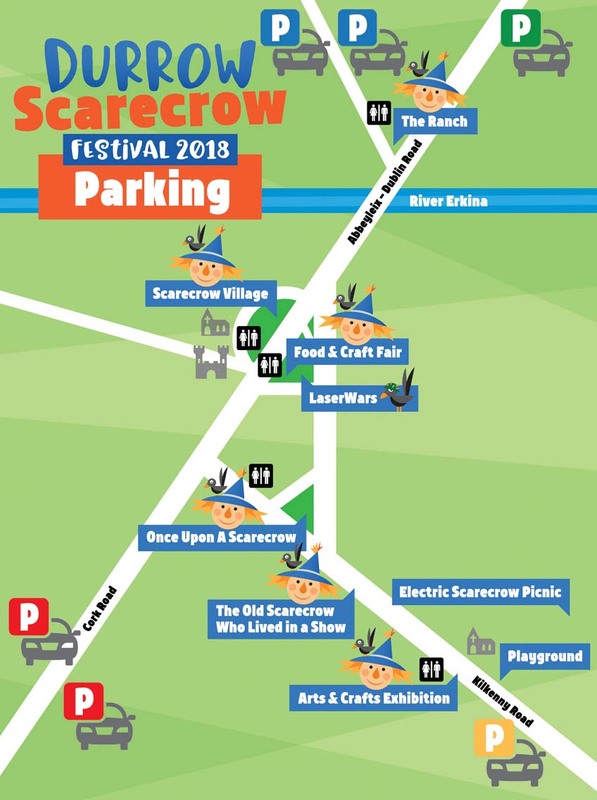 All car parks are also within walking distance of the village centre and all attractions. 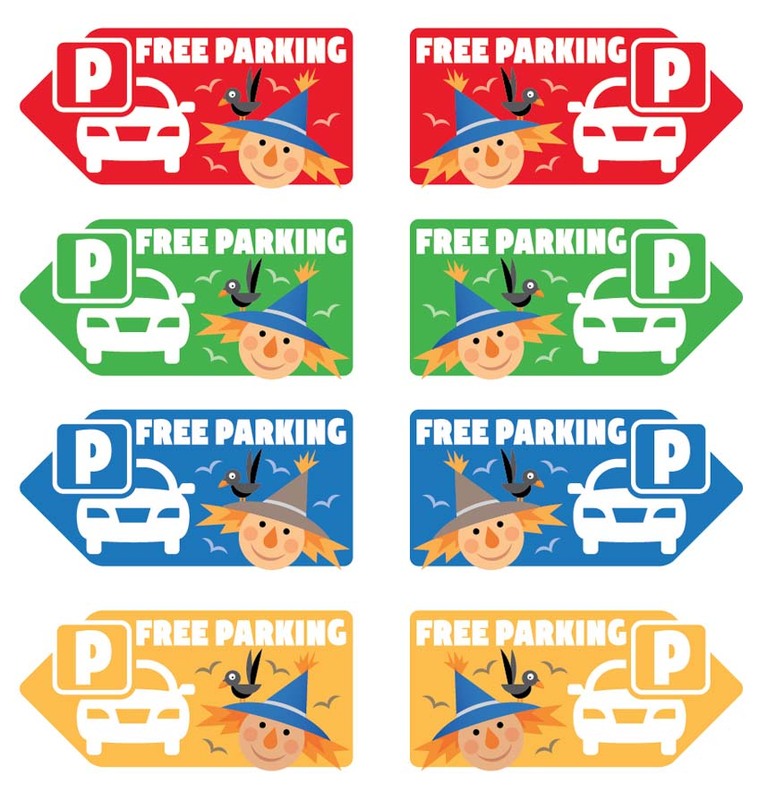 The CAR PARKS are colour coded. …. 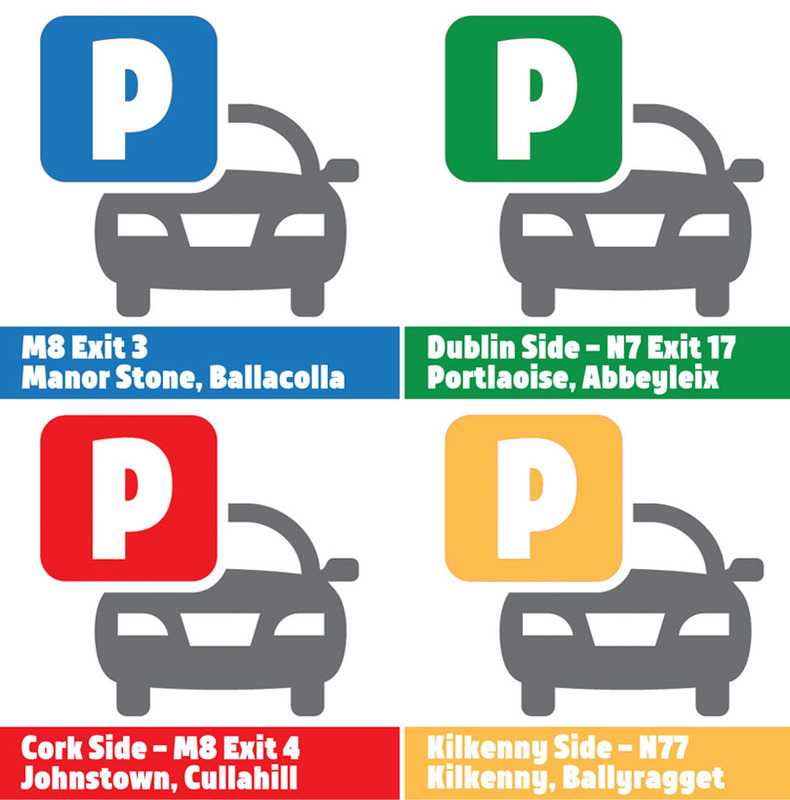 watch out for the colour coded parking signs and drive safely.